Corporate Membership, which shall be open to any agency engaged in any aspect of health and safety. Corporate Members may be represented at meetings by any person they may wish to. Details of a further 3 ‘Corporate Additional’ named colleagues may be placed on the membership database and receive updates and information as the main representative. 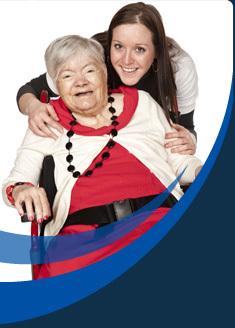 Individual Associate Membership, which shall be open to any person who is a carer, (i.e. : friend or family member, or volunteer or unpaid) or who works as a care giver, is a student, or represents those employed in the sector. Fees run from 1st day of month of application received. Payment made be made by BACS, Cheque or online with Credit/debit card. The National Executive in its absolute discretion may terminate or refuse to accept applications for membership. Membership of the Association is conditional upon payment of the annual membership fee. Certificate of membership issued shall remain the property of the Association and shall be returned on cessation of membership. Each member must undertake to be bound by, and comply with the terms of the constitution, as amended from time to time. Members shall be entitled to bring guests to any meeting, but shall be responsible for their conduct, particularly as regards the confidentiality requirement as set out in the constitution. A full version of the NASHiCS constitution is also available.